Is Your Oil Really Pure? 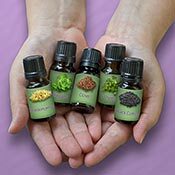 Essential oil quality myths. The facts and myths of essential oil quality. What does ‘pure’ really mean? The truth about essential oil purity claims and marketing tactics. 7 keys to oil quality How E.O.B.B.D. testing guarantees quality for demanding medicinal and therapeutic essential oil uses. Essential oil uses: How to use therapeutic essential oils safely and effectively. Spice oil blend. For seasonal support. Lavender oil. A universal oil that’s also uplifting. Order Essential Oils. Our source of truly 100% pure, therapeutic grade essential oils. Oregano Oil – A Bacterial Killer. The “big gun” of essential oils for controlling bacterial challenges. Copyright © 2010-2019 Honest-Essential-Oils.com™. All rights reserved.